There is finally a makeup for extraordinarily sensitve and acne prone skin! Oxygenetix oxygenating Foundation features pro-healing patent pending CERAVITAE the breathable, oxygen enriched foundation that speeds up skin cell production, clears up skin conditions, helps to minimize scarring and leaves skin fresh and radiant. The longer this oxygenating foundatiuon is worn, the better your skin looks. 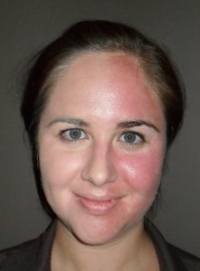 UVB rays mainly cause burning. UVA rays effect deeper skin layers causing primature aging by damagin DNA and the skin cells that produce collagen and connective tissue. Dr. Steven Jones's unique formula not only lets your skin truly breath, it has therapeutic and healing properties. Oxygenetix is being used in many hospitals in the USA in their burn units. 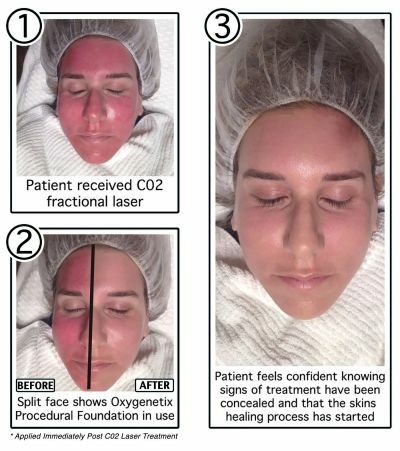 It is also very popular in many clinics for after post surgery, post laser therapy, chemical peels, as well acne, dermatitis and uneven skin pigmentation. Oxygenetix non chemical SPF25 full spectrum physical sunblock solves thes problems without irritation. Oxygenetix uses soothing, healing Aloe Vera instead of water helping resurface skin by sloughing dead skin cells, and it is transfer and water resistant-won't come off on clothing, stays on in water.